THIS IS A BEAUTIFUL SOFT MOISTURISER FOR NORMAL TO OILY SKIN. IT CONTAINS GRAPESEED OIL WHICH IS BENEFICIAL FOR OILY SKIN, INCLUDING ACNE PRONE SKIN, AS THE ANTIOXIDANTS IN THE OIL WILL HELP REDUCE CLOGGED PORES AND ACNE SCARRING AS WELL AS BALANCING THE NATURAL OIL ON YOUR SKIN. THIS PRODUCT IS SUITABLE FOR EVEN THE MOST SENSITIVE SKIN AS IT IS FRAGRANCE AND COLOUR FREE. THIS IS A BEAUTIFUL SOFT MOISTURISER FOR NORMAL TO OILY SKIN. IT CONTAINS GRAPESEED OIL WHICH IS BENEFICIAL FOR OILY SKIN, INCLUDING ACNE PRONE SKIN, AS THE ANTIOXIDANTS IN THE OIL WILL HELP REDUCE CLOGGED PORES AND ACNE SCARRING AS WELL AS BALANCING THE NATURAL OIL ON YOUR SKIN. THIS PRODUCT IS SUITABLE FOR EVEN THE MOST SENSITIVE SKIN AS IT IS FRAGRANCE AND COLOUR FREE. IT COMES IN A 150ML REFILLABLE ALUMINIUM TUB THAT CAN BE RE-FILLED, RECYCLED OR RE USED. 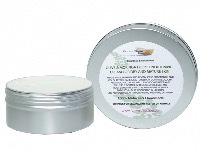 THIS IS A NOURISHING AND REVITALISING FACE MOISTURISER FOR NORMAL TO SENSITIVE SKIN. 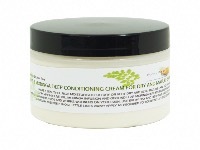 IT CONTAINS JOJOBA OIL, AVOCADO OIL AND COCOA BUTTER TO HELP SOOTHE AND RESTORE MOISTURISE. JOJOBA OIL WILL HELP REDUCE INFLAMMATIONS, UNCLOG PORES AND REDUCE THE PRODUCTION OF EXCESSIVE SEBUM. THIS PRODUCT IS SUITABLE FOR EVEN THE MOST SENSITIVE SKIN AS IT IS FRAGRANCE AND COLOUR FREE. 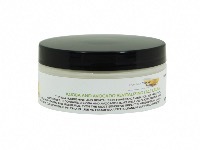 THIS IS A NOURISHING AND REVITALISING FACE MOISTURISER FOR NORMAL TO SENSITIVE SKIN. 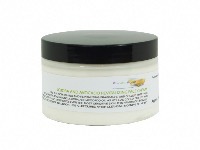 IT CONTAINS JOJOBA OIL, AVOCADO OIL AND COCOA BUTTER TO HELP SOOTHE AND RESTORE MOISTURISE. JOJOBA OIL WILL HELP REDUCE INFLAMMATIONS, UNCLOG PORES AND REDUCE THE PRODUCTION OF EXCESSIVE SEBUM. THIS PRODUCT IS SUITABLE FOR EVEN THE MOST SENSITIVE SKIN AS IT IS FRAGRANCE AND COLOUR FREE. IT COMES IN A 150ML REFILLABLE ALUMINIUM TUB THAT CAN BE RE-FILLED, RECYCLED OR RE USED. 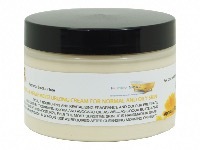 THIS IS A BEAUTIFUL RICH MOISTURISER FOR DRY TO VERY DRY MATURE SKIN. IT CONTAINS EXTRA VIRGIN OLIVE OIL, MORINGA INFUSION AND GROUND LEAF. THE NATURAL VITAMIN C IN MORINGA WILL BOOST COLLAGEN, HELPING REDUCE FINE LINES BY NOURISHING YOUR SKIN. THIS PRODUCT IS SUITABLE FOR EVEN THE MOST SENSITIVE SKIN AS IT IS FRAGRANCE AND COLOUR FREE. 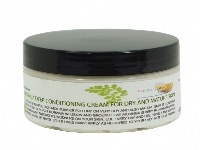 THIS IS A BEAUTIFUL RICH MOISTURISER FOR DRY TO VERY DRY MATURE SKIN. IT CONTAINS EXTRA VIRGIN OLIVE OIL, MORINGA INFUSION AND GROUND LEAF. THE NATURAL VITAMIN C IN MORINGA WILL BOOST COLLAGEN, HELPING REDUCE FINE LINES BY NOURISHING YOUR SKIN. THIS PRODUCT IS SUITABLE FOR EVEN THE MOST SENSITIVE SKIN AS IT IS FRAGRANCE AND COLOUR FREE. 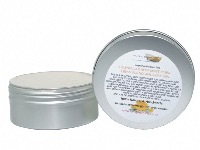 IT COMES IN A 150ML REFILLABLE ALUMINIUM TUB THAT CAN BE RE-FILLED, RECYCLED OR RE USED.